More than 100 million U.S. adults are now living with diabetes or prediabetes, according to a new report released by the Centers for Disease Control and Prevention (CDC). The report finds that as of 2015, 30.3 million Americans – 9.4 percent of the U.S. population –have diabetes. Another 84.1 million have prediabetes, a condition that if not treated often leads to type 2 diabetes within five years. The report, the highlights of which are contained in a CDC news release, confirms that the rate of new diabetes diagnoses remains steady. However, the disease continues to represent a growing health problem: Diabetes was the seventh leading cause of death in the U.S. in 2015. The report also includes county-level data for the first time, and shows that some areas of the country bear a heavier diabetes burden than others. 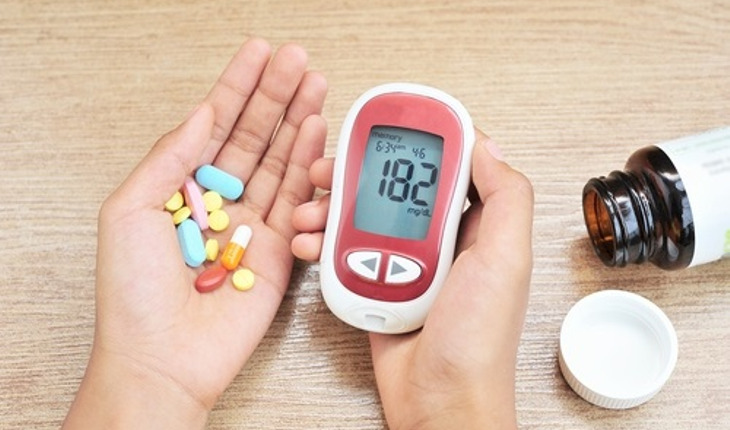 Diabetes is a serious disease that can often be managed through physical activity, diet, and the appropriate use of insulin and other medications to control blood sugar levels. People with diabetes are at increased risk of serious health complications including premature death, vision loss, heart disease, stroke, kidney failure, and amputation of toes, feet, or legs. The National Diabetes Statistics Report, released approximately every two years, provides information on diabetes prevalence and incidence, prediabetes, risk factors for complications, acute and long-term complications, mortality, and costs in the U.S. In 2015, an estimated 1.5 million new cases of diabetes were diagnosed among people ages 18 and older. Nearly 1 in 4 four adults living with diabetes – 7.2 million Americans – didn’t know they had the condition. Only 11.6 percent of adults with prediabetes knew they had it. Rates of diagnosed diabetes increased with age. Among adults ages 18-44, 4 percent had diabetes. Among those ages 45-64 years, 17 percent had diabetes. And among those ages 65 years and older, 25 percent had diabetes. Rates of diagnosed diabetes were higher among American Indians/Alaska Natives (15.1 percent), non-Hispanic blacks (12.7 percent), and Hispanics (12.1 percent), compared to Asians (8.0 percent) and non-Hispanic whites (7.4 percent). Diabetes prevalence varied significantly by education. Among U.S. adults with less than a high school education, 12.6 percent had diabetes. Among those with a high school education, 9.5 percent had diabetes; and among those with more than a high school education, 7.2 percent had diabetes. More men (36.6 percent) had prediabetes than women (29.3 percent). Rates were similar among women and men across racial/ethnic groups or educational levels. The southern and Appalachian areas of the United States had the highest rates of diagnosed diabetes and of new diabetes cases. The agency reported in its release o reduce the impact of prediabetes and type 2 diabetes, CDC established the National Diabetes Prevention Program (National DPP), which provides the framework for type 2 diabetes prevention efforts in the U.S.
Based on the landmark Diabetes Prevention Program research findings funded by the National Institutes of Health (NIH), the National DPP includes an evidence-based, year-long, behavior change program to improve eating habits and increase physical activity to lose a modest amount of weight and significantly reduce the risk of type 2 diabetes. To raise awareness and help people with prediabetes know where they stand and how to prevent type 2 diabetes, CDC, the American Diabetes Association (ADA), and the American Medical Association (AMA), partnered with the Ad Council to launch the first national public service advertising (PSA) campaign about prediabetes. These humorous PSAs in English and Spanish encourage people to take a short online test at http://www.doihaveprediabetes.org/ to learn their risk. To prevent serious and costly diabetes complications, states are working with CDC to improve access to diabetes self-management education (DSME), with an emphasis on DSME programs that meet national quality standards. Additionally, CDC and NIH’s Natural Experiments for Translation in Diabetes (NEXT-D) study evaluates existing data to determine whether diabetes prevention and control interventions and policies are effective under real-life conditions.